Explore the Cape Winelands of South Africa. Daily group wine tours and private wine tours in Stellenbosch, Franschhoek and Paarl. Stellenbosch is just one hours drive from Cape Town. Worth a journey to come and visit us here in Stellenbosch and join us on a wine tour: explore the Stellenbosch vineyards with its backdrop of majestic mountain ranges and lush valleys. "A day without wine is like a day without sunshine"
No trip to the Stellenbosch area is complete without a visit to our beautiful vineyards. 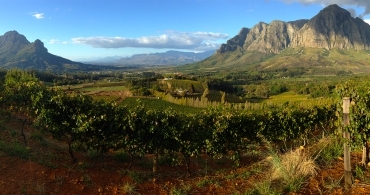 Stellenbosch, together with Franschhoek and Paarl, is a premium South African wine region. Wine tours are our passion. Take a look at our daily group wine tour and private wine tour itineraries below. We can customise any of these to suit our clients needs. 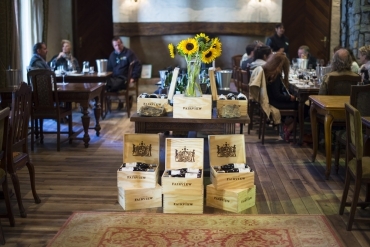 Highlights: Master cheese & wine tasting, flagship tasting, chocolate & wine tasting and spectacular scenery. Included: Registered tourist guide for the day, spectacular views of the Winelands, cellar tour on request, historical Stellenbosch. 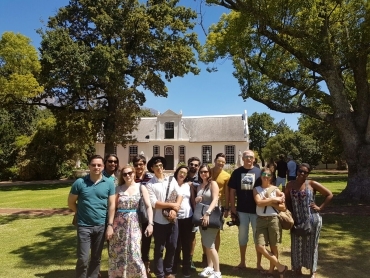 Daily group wine tour from Cape Town & Stellenbosch. 7 Days a week.